The weather is getting cooler, the leaves are turning colors, and everything smells like pumpkin spice—that’s right, it’s fall! And with fall’s arrival, that means your mini split is going to have to switch from cooling to heating. So here are some tips about transitions into a New England fall with your mini splits. When the seasons change, it’s important to get a pro to check in on your mini split and make sure everything is functioning perfectly. If you have a professional come out and perform a maintenance check on your mini split, they will clean the air filter and coils to prevent mold growth and keep the air quality high. They’ll also flush the drainage, inspect the refrigerant and electrical wiring, and the compression. If thy see any leaks or damage, they can quickly replace any pieces, preventing a bigger problem in the future. In order for your mini split to function at its best, there can’t be any obstructions to the outdoor component. 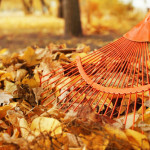 In summer, this means keeping grass and vegetation trimmed, in winter, this means keeping snow clear of the component, and in fall, it means raking away any fallen leaves. Keep the area clear so there is plenty of airflow around the outdoor component, and your mini split should be able to run at a high efficiency. This is something you should be doing monthly, but seasonally is ok as well. If you don’t plan on calling a professional, you should definitely clean your air filters as the season change. Check your owner’s manual to see what the directions are for your model, but usually you simply need to remove the filter and gently clean it with a vacuum. This will keep your mini split from overworking itself and will keep the air in your home clean and fresh. As the seasons change, don’t forget to contact Total Comfort HVAC at 401-533-3302 or info@totalcomforthelp.com for a seasonal check up on your minisplit!